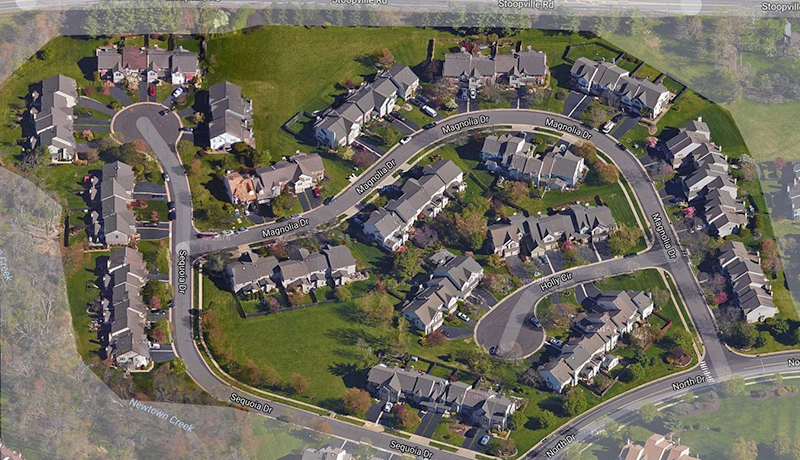 Willow Creek is that area comprised of 88 Newtown Grant townhomes located on Holly Circle, Magnolia Drive and Sequoia Drive (north of North Drive in Newtown Township, Bucks County, PA. Access to this sub-neighborhood is from North Drive North Drive or Magnolia Drive. There are 19 townhome clusters in Willow Creek, each having from 3 to 6 homes per cluster. Therefore, approximately 40% of the homes are end units. Willow Creek and Eagle Trace are managed together under a single homeowner association. These townhomes were built ca. 1988-1991. Typical homes range from approximately 2,000 to 2,700 sq. ft. 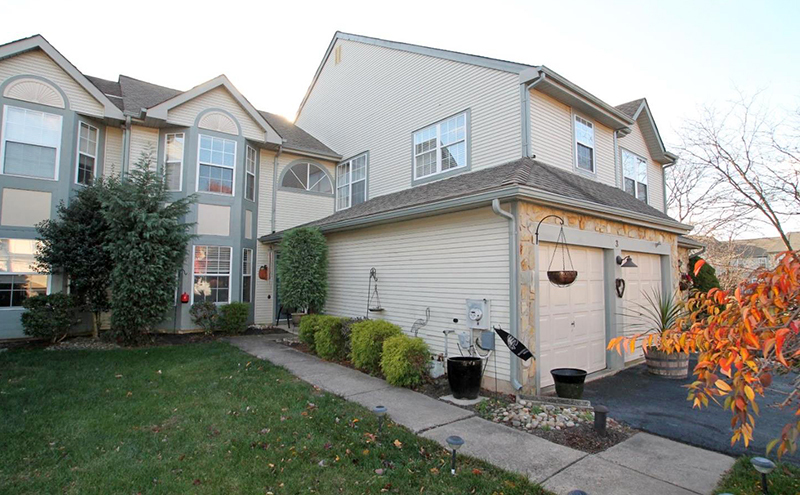 The homes have 2 to 4 bedrooms with 2‑1/2 baths. Approximately 4 out of 5 (80%) have either a 1 or 2-car garage. These homes do not have basements.